Above, the French Cartomancy Lenormand deck, border removed and cards glittered. So you want to learn how to read the Lenormand Deck? If you have searched for how-to books, you may have found that it can be difficult to find resources in English. HERE is a blog explaining some of the differences between Tarot and the Lenormand. Below is a list to get you started on your Lenormand-learning journey. I'll update this page as resources continue to become available, and as I continue to discover them myself. Feel free to contact me with your suggestions if you've found good resources I've not listed here. Do note that many books and resources have different card reading systems. Take what you like, leave what doesn't fit you. I tend to like to stick to the traditional system as much as possible (as I continue to learn), which is quite different than how a tarot card is read. You need to pick what fits you. Get a deck that has images that are easy for you to see. Traditional decks are great to start. I happen to like the French Cartomancy deck, and the Lo Scarabeo Lenormand deck, but several others like them are also great. Unlike tarot, the imagery itself does not alter the meaning of the card, except in a very few cards that may have directionality. Find one you feel is attractive and with clear imagery. Here is information on how to choose your first Lenormand deck. Learn the individual card meanings, or get a sense of understanding them in singles before trying blending two cards. 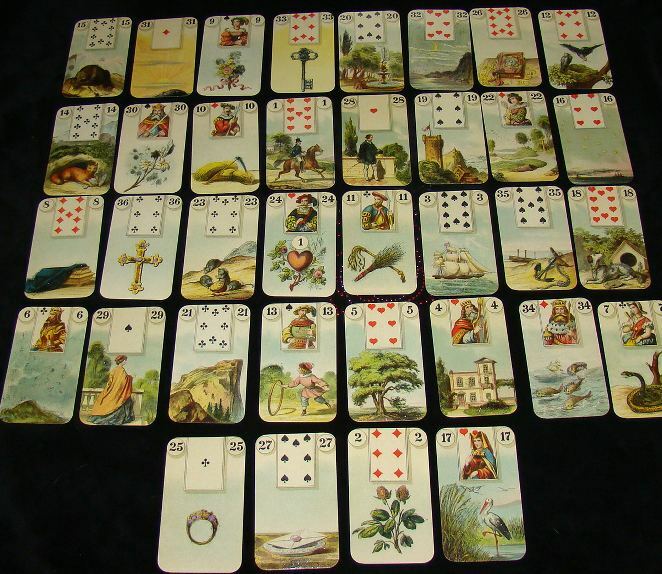 A great place to start is Helen Riding's blog where she posted a Lenormand Dictionary. Learn 2-card combination blends -- it gets exciting here! Then get on your journey as to how to read the cards deeper in spreads, and these resources will help you with the blends and the spreads. 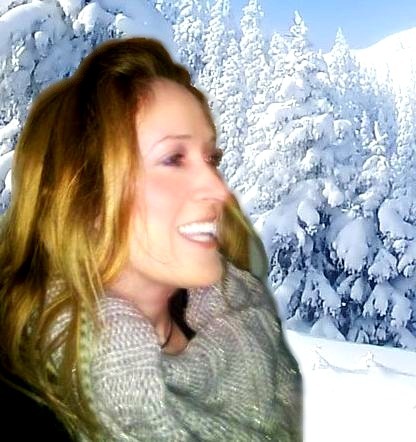 Tali Goodwin is teaching a free class in the Tarot-Town forum, files are accessible there. Go to Forums and look for "Lenormand." The "Files" section at top of Tarot Town holds the PDF's for each lesson. She is also releasing a book on learning the Lenormand, expected publishing release date in early 2013 (Llewellyn). DL's free classes: from Beginner to Advanced HERE. Treppner Course -- People who don't speak German will need to use Google Translate or BabelFish to read the page, because the website is entirely in German. The Essential Lenormand: Your Guide to Precise & Practical Fortunetellingk, the best-seller by Rana George (sold out and reprinted after its first month of publication), is published by Llewellyn Publications and is available in Paperback and Kindle). Caitlin Matthews' The Complete Lenormand Oracle Handbook: Reading the Language and Symbols of the Cards, an excellent and well-written resource. Caitlin Matthews also wrote a mini-book that is included with her Enchanted Lenormand Deck. Lenormand Thirty-Six Cards: An Introduction to the petit-Lenormand by Andy Boroveshengra, great for those interested in learning the near/far method. Paperback version here. Kindle version here. The Secrets of the Lenormand by Sylvie Steinbeck (some complain this is not true to the traditional system; I read it and found it okay, but confusing conflicts are in the book if you're using other systems and add this as a resource). Tarosophist International Summer 2012 Volume 1 Issue 15 (special issue on Lenormand). Download HERE. Ciro Marchetti's PDF downloadable book that accompanies his Gilded Reverie Lenormand is only $5 and can be found at his website HERE. Card descriptions are written by Tali Goodwin and Rana George. Several other Lenormand readers have contributed to the rest of the book, including myself. THE GAME OF DESTINY - Fortune Telling with Lenormand Cards By Mario dos Ventos. This book is by no means complete, but has some basic information. Hexeclaire has a great YouTube channel with Lenormand tutorials. If this link does not work, go you YouTube.com and in the search bar put "Hexeclaire Lenormand." If you want to give the Lenormand a go, but you don't have any cards and aren't sure about buying, here are some decks you can download and print. This antique deck, the V.S.S. Stralsunder (one of my favorite decks) make a cute set as well. Just print, laminate and go! Not for resale without a license from the British Museum. Download this free Lenormand deck (with how-to's) by Wandering Oracle. A vintage deck, the Lenormand 1892-1931 Altenburger Spielkarten & Co deck (featured) in the public domain is linked by Tarot Taxi. Gilded Reverie Lenormand App for iPad/iPhone and Android. I demonstrate this app and its functions HERE. Follow a list of more of our Free Lenormand Podcast Classes HERE. For more information on how to read the Lenormand Oracle, CLICK HERE. "I am learning all the time. The tombstone will be my diploma." Here's wishing you a magical world of Lenormand discovery!